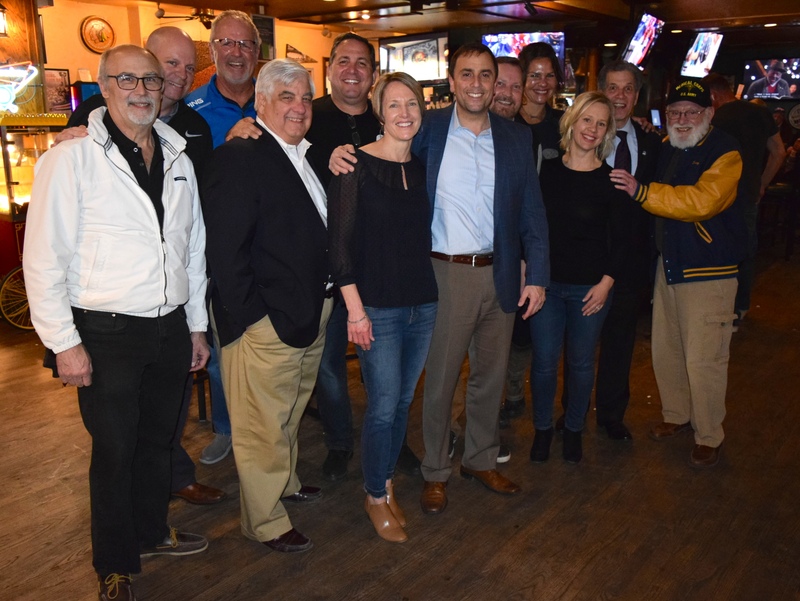 It was a busy evening on Tuesday, April 2, when friends and supporters of First Ward Alderman Mark Sabatino and Fourth Ward Alderman Noel Talluto gathered at two establishments in downtown to celebrate their re-election. Talluto’s victory came early in the evening, when she received 738 votes to her opponent Mark Anglewicz’s 437. Sabatino’ race was a little more of a nail-biter, with results coming in later in the evening, but it turned out he beat Liz Ambrogi 441-370. Other Alderman races were uncontested so all were re-elected including Mark Mulliner who won an unprecedented sixth term of office, making him the longest-sitting Elmhurst Alderman. Please note: At press time, all results were unofficial. This story will be updated when the County declares the vote official. More information is available at dupageresults.com.